Online ordering menu for Cafe 50's. Cafe 50's is a great place for food, folks and fun! You'll find a menu filled with delightful food in a great atmosphere the whole family will enjoy. We offer everything from a scrumptious full breakfast menu to an exceptional lunch and dinner menu served all day! 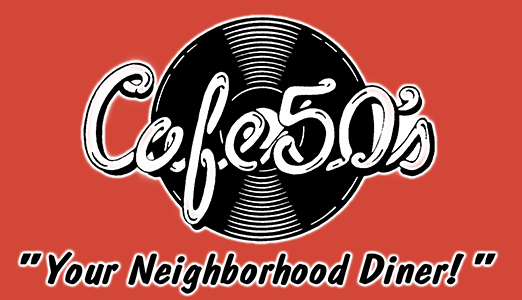 Since 1982, Cafe 50's has been the neighborhood diner that will bring you back in time. Come in today or order online and we'll serve you a generous slice of Americana.